Berries of all kinds: Fruits, especially berries are rich in antioxidants. Not surprising that berries offer an abundance of antioxidants and nutrients since berries are deep in color (usually meaning dense in nutrition too). 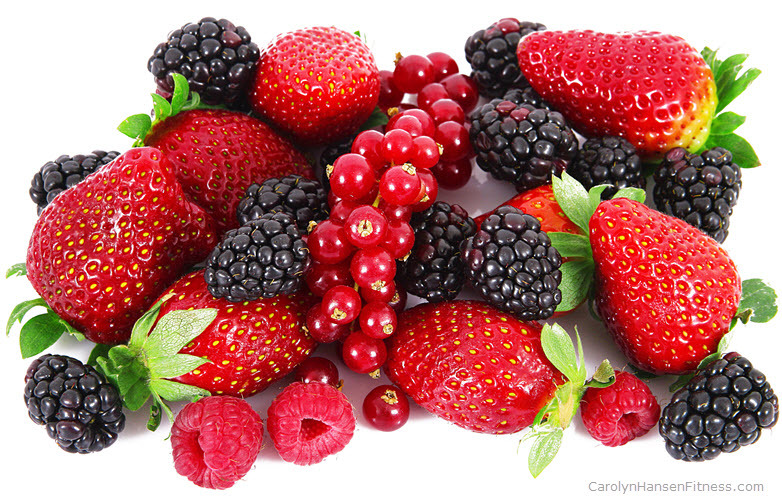 Raspberries, strawberries, blueberries, cranberries and blackberries are super rich in proanthocyanidins…antioxidants that help to prevent cancer and heart disease. 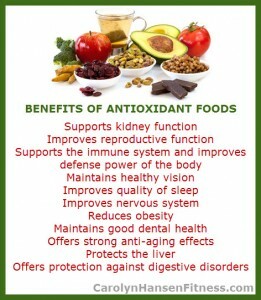 Blackberries top the list for most antioxidants. Berries are sweet, delicious and easy to include in the diet because you can eat them frozen in a smoothie, toss them on your morning granola, yogurt or cereal and take them to work with you as a mid-day snack. Even when they are dried they provide a punch of antioxidants. Raw Garlic: I often wonder how people cook without garlic it adds so much depth of flavor to our foods and is used as a delicious flavoring agent for a variety of dishes around the world. One single clove of garlic provides vitamins A, B, and C, iodine, selenium, iron, potassium, calcium, magnesium and zinc. 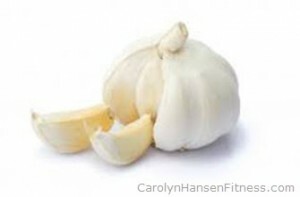 Garlic can also decrease blood pressure and cholesterol as well as removing toxic heavy metals from the body. It works at preventing cancer and acts as an antiviral and antifungal agent. 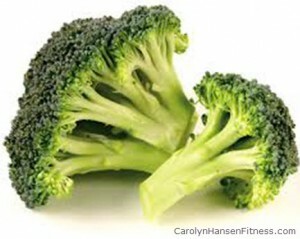 Broccoli: This cruciferous veggie definitely gets the “crown” for most nutritious vegetable. It contains more vitamin C than an orange and provides more calcium that a glass of milk. Not only does broccoli provide an abundance of important vitamins and minerals, it is filled with phytonutrients (disease fighting chemicals). One such phytonutrient, sulforaphane, has been shown to lower the risk of many different kinds of cancers. You can steam it, boil it, roast it, or eat it raw. You can add it to salads, put it in omelets and it is the perfect veggie for stir-fry. Try seasoning with basil, lemon and salsa to create a delicious side dish. Tomatoes: These brightly colored vegetables are the richest source of lycopene…a very powerful anticancer agent. In fact, lycopene beat out vitamin E and beta carotene as a powerful disease fighter. 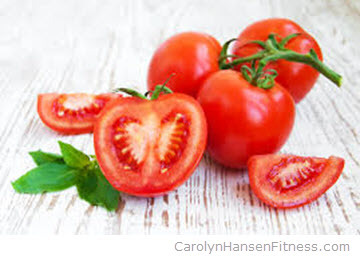 In order for lycopene to be absorbed, it needs fat. You can easily add fat and increase your lycopene levels by putting healthy olive oil in your tomato sauces. Tomatoes can be enjoyed numerous ways…fresh sliced (always the best), canned, stewed and in sauces. They top off any salad and add not only nutrients and antioxidants but color, flavor and texture. 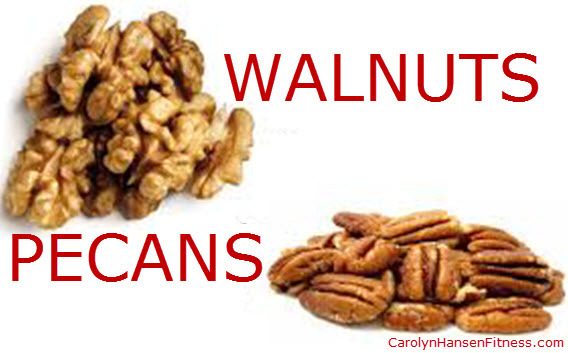 Walnuts and Pecans: Walnuts are loaded with antioxidants and the perfect finger/snack food. 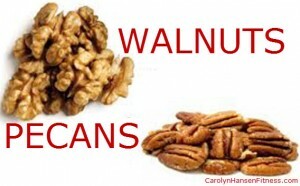 They are low in sodium and sugar, cholesterol free and rich in omega-6 fatty acids. The only issue you may want to pay attention to is calories as all nuts are relatively high in calories but are also loaded with nutrients. Spices: Spices such as ground cloves do wonders for your health. 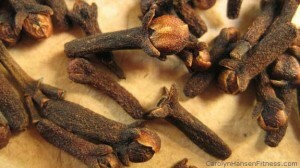 Cloves are the aromatic dried flower buds of a tree in the Myrtaceae family. They are native to Maluku islands in Indonesia and used widely around the world. No matter what situation you currently find your health in, your diet likely got you into the situation in the first place and your diet is what will get you out of it (combined with sufficient and regular exercise). Paying attention to what goes in your body pays off with vital health and long productive years. It’s a good thing! If cancer is a concern of yours and you would like to find out if you have an invisible threat hanging over your head you can take my FREE “at risk for cancer” test. Knowledge is always power.